Happy Monday friends! Things have been crazy over here as I finalize plans for my big move, but I am still carving out pockets here and there for artworking when I can. I start to feel a little incomplete if I go too long without some sort of creative activity. For a while now I have been looking to rejuvenate my creative process. Most of my illustration work starts out hand drawn and then the rest ends up on the computer, which can be lengthy. While I don't hate it, I would also like to incorporate more analog time into my work where i can. It is so refreshing to add something unfamiliar to your routine - I've found it opens the door for new possibilities and happy accidents. 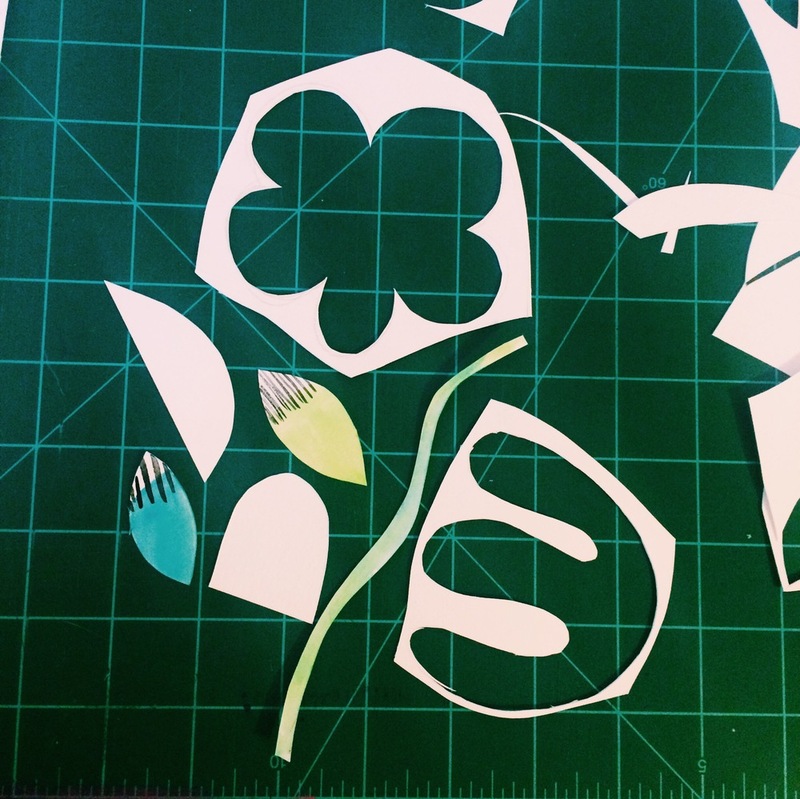 So, the other night I started playing with papercuts, and it was just the change I was seeking. I hadn't anticipated there would be as much potential in the scraps as there was in the planned parts. It has been a great boost, and I can't wait to play more. Have you tried anything new in your creative process recently? I'd love to hear! 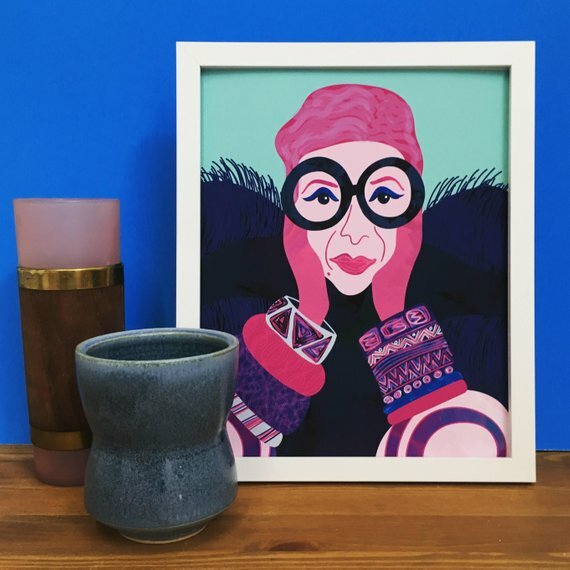 Shop Update: Art Holiday Party! Howdy friends! I've been working on a little personal piece, and thought I'd share some of the progress so far. These babies will eventually be sent out as postcards. What are you working on? Leave a comment and let me know! I'm a Contributor on the Illustration Friday Blog! Hey there, friends! I'm excited to announce that I've started contributing weekly posts over on the Illustration Friday blog. I've written about 4-5 posts so far, and the experience has been really enjoyable. 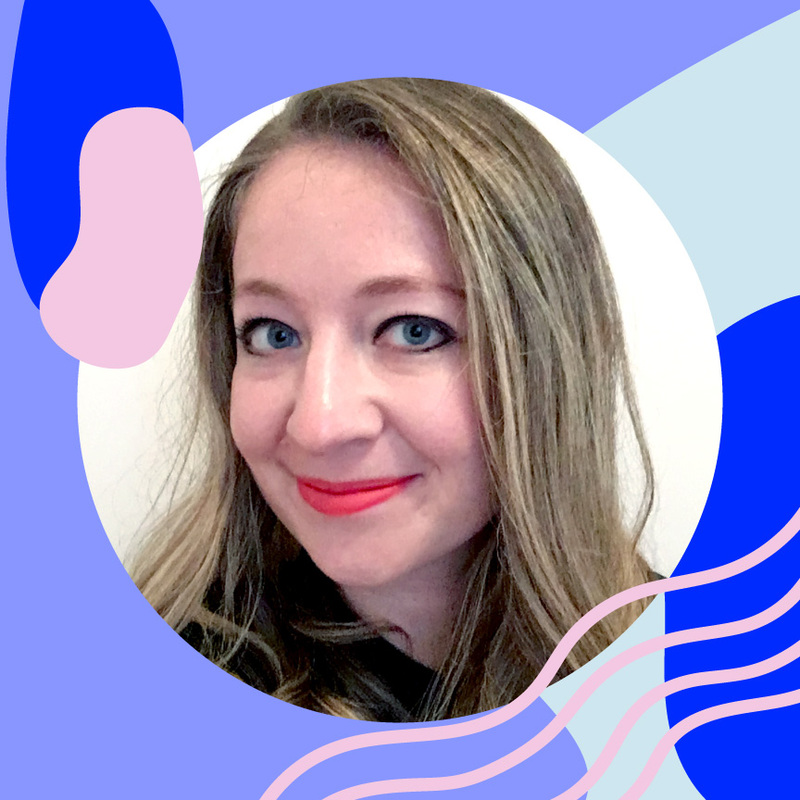 I love writing about art and sharing the work of some of the most exciting illustrators out there! 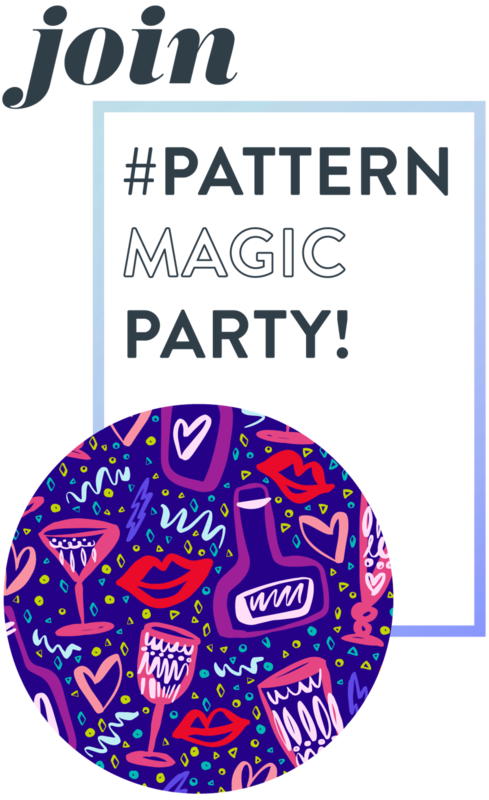 I'm covering illustrators who use surface pattern in their work, and showcasing the products their patterns appear on in the hopes that this will inspire other artists to imagine new applications for their own art. I hope you'll follow along, and if you feel so inclined, I'm always open to feedback. Happy Monday friends! This weeks five things were inspired by Mardi Gras which starts tomorrow. Happy Monday friends! I thought we might kick off the week with some fun Valentine's Day themed illustrations. Love is worth celebrating every day, in whatever form you have it in your life. I hope you have a great week, stay tuned for more fun! Yesterday there was a blizzard and it was the perfect opportunity to walk to the restaurant around the corner for some brunch - the most delicious brunch I've had in a while. We sat for a few hours in the half empty restaurant, watching the storm outside happening and enjoying the simplicity of togetherness. It was great. So, for this week's Five Things, I illustrated my favorite parts of the meal. Happy Monday, friends! In the midst of winter, I'm starting to feel rather antsy, and am craving a dapper little shindig with a handful of dear friends. Is there anything you're craving these days, when the winter weather sets in? I hope your day was filled with love and delicious food and luxurious naps, friends!